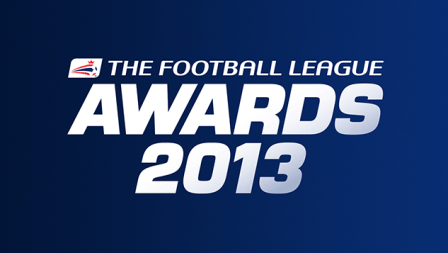 Cardiff City has been named Family Club of the Year at the Football League Awards 2013. Cardiff City FC have been a long supporter of SRtRC and this award shows their continued commitment to the community in Wales. Commercial Director Julian Jenkins from Cardiff City collected the award at the gala ceremony at The Brewery, London, on Sunday evening in front of over 600 guests from clubs, sponsors and the football industry. This year there were a total of 17 awards with 34 clubs shortlisted for honours. Cardiff City beat five clubs from across The Football League to the overall award with the final shortlist also comprising of AFC Bournemouth, Brighton & Hove Albion, Doncaster Rovers, Oxford United and Plymouth Argyle. A previous winner of the award, Cardiff City have continued to innovate and progress their family focussed activity to ensure they remain one of the leading clubs in this area. The club have a sold-out family stand for every game, with over 7,250 season ticket holders and a family friendly ethos throughout the club. On winning the award, Jenkins from Cardiff City said: "We have had a huge increase in the number of fans and we want to give them more than what happens on the pitch. We have got a great backroom team that have worked so hard so this award is for them because they do a fantastic job, but for the fans as well." Divisionally, the Family Club of the Year for League 1 was won by AFC Bournemouth, while the League 2 Award went to Plymouth Argyle. When assessing the category, judges looked for the club that best demonstrated outstanding delivery of activity to attract and retain family attendance at games. Greg Clarke, Chairman of The Football League, said: "The Football League Awards 2013 has given us another opportunity to celebrate success at League clubs both on and off the pitch. It gives us the chance to reward those who have achieved fantastic results throughout the year. I would like to congratulate tonight's winners and all those who were nominated. Campaign Worker Jason Webber said: "I’m thrilled that Cardiff City FC have won this award again, it highlights the work they are doing behind the scenes to ensure that everyone in the community is welcome at the CCS. Congratulations to all invovled at the club."